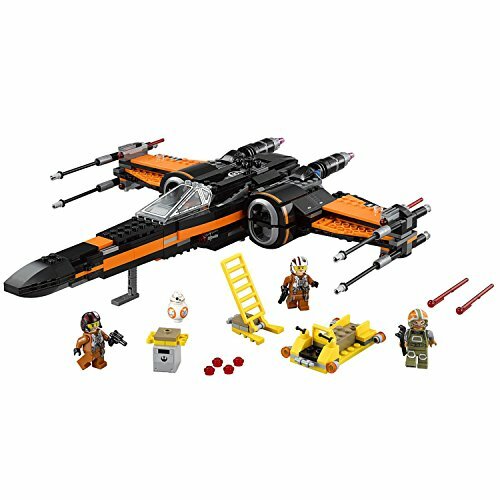 Go on daring missions with Poe's X-Wing Fighter! 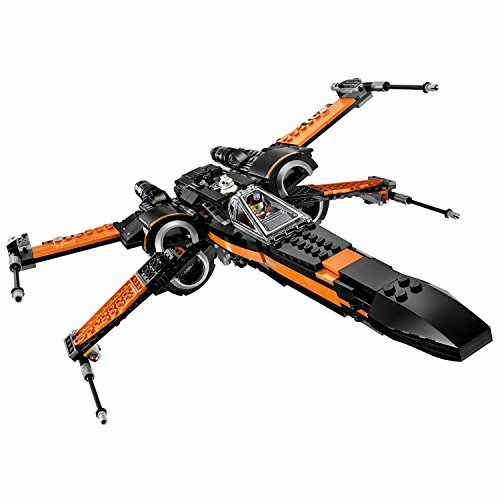 Board Poe's X-Wing Fighter with spring-loaded shooters, stud shooters, retractable landing gear, opening wings, loader, access ladder and more. 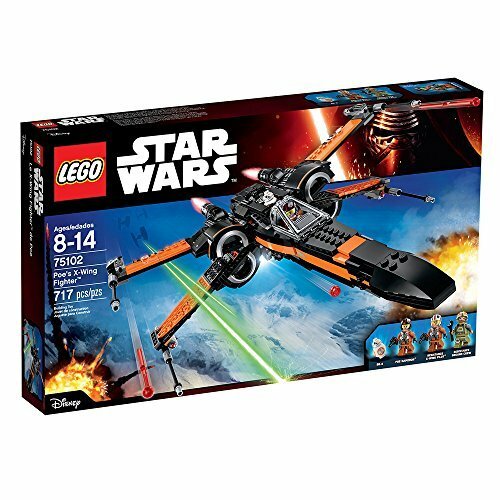 Battle the forces of the First Order with Poe's X-Wing Fighter. 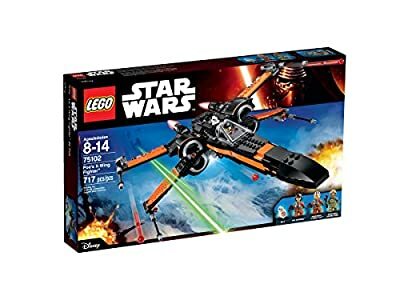 This customized starfighter is packed with features, like the 4 spring-loaded shooters, 2 stud shooters, retractable landing gear, opening wings, opening cockpit with space for a minifigure and space behind for the BB-8 Astromech Droid. There's even a loader with weapon rack, extra missiles and ammunition, and a seat for a minifigure. So climb the access ladder, strap in and get ready to recreate your own great scenes from Star Wars: The Force Awakens! 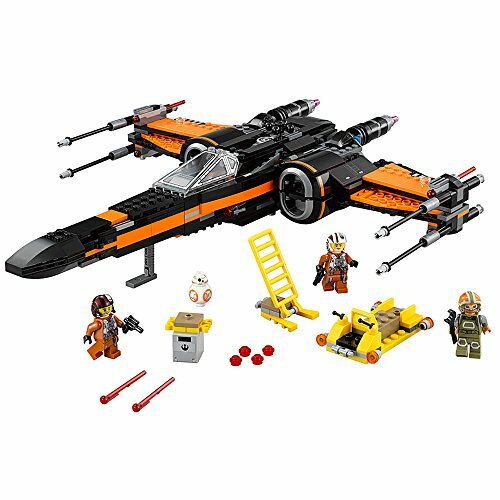 This LEGO Star Wars toy includes 3 minifigures with assorted weapons and accessories: Poe Dameron, Resistance ground crew and a Resistance X-Wing Pilot, plus a BB-8 Astromech Droid. Features Poe's X-Wing Fighter, loader and an access ladder.